You can view PLT or AutoCAD Plotter Document with the Autodesk AutoCAD 2013 and ArtCut applications only, which is a nuisance to many people. If you need to view PLT files right away without paying hunderds of dollars for Autodesk AutoCAD or ArtCut, you should convert PTL to JPEG, the most popular image format. JPEG files can be viewed with any standard picture viewing software without any problems, so you won't need to spend money on specialized programs. 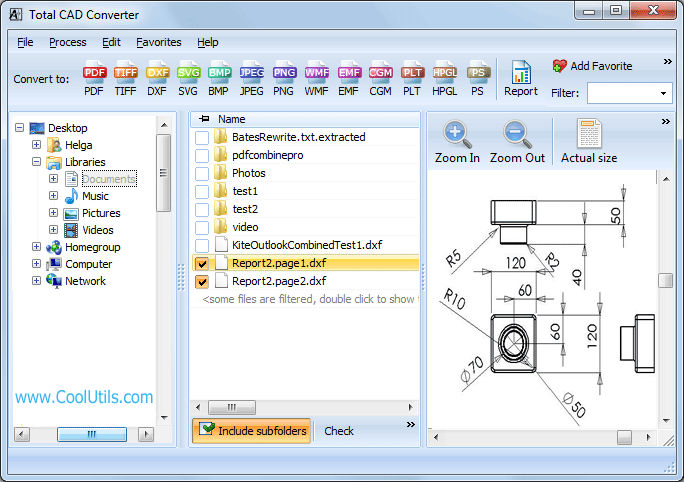 To convert PTL drawings to JPEG format, you should use a batch PLT converter. You can either take advantage of free online converters, if quality is not crucial, or check out Total CAD Converter from CoolUtils. This multi-functional CAD converter is available for just under $100! For evaluation purposes get a free version (limited use for 30 days). Run TotalCADConverter.exe. You can either purchase a fully functional version of the program at once or check out a free evaluation version first. Install the converter as you would normally do with any other program. You will see the list of files. Select those that you want to convert. 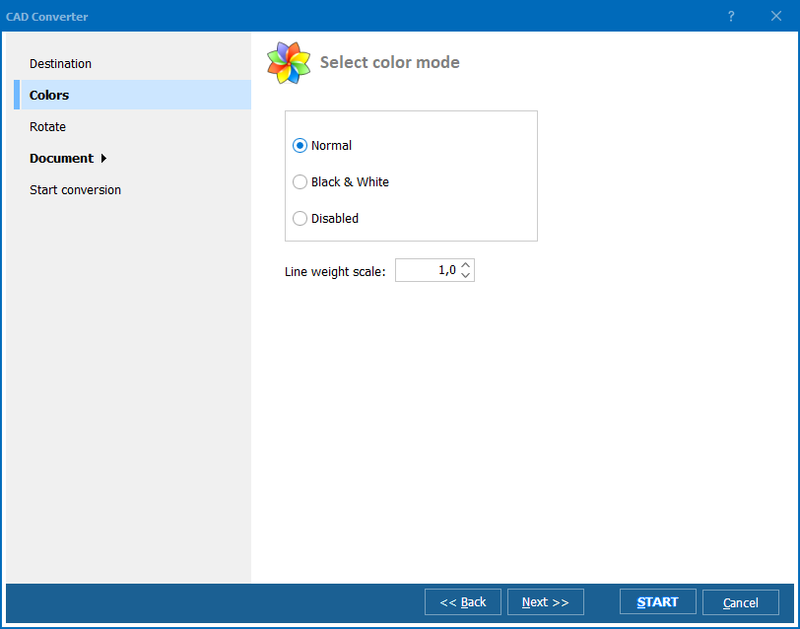 Press "JPEG" icon in the upper menu and click "Start!" in a new window to begin conversion with the default settings. 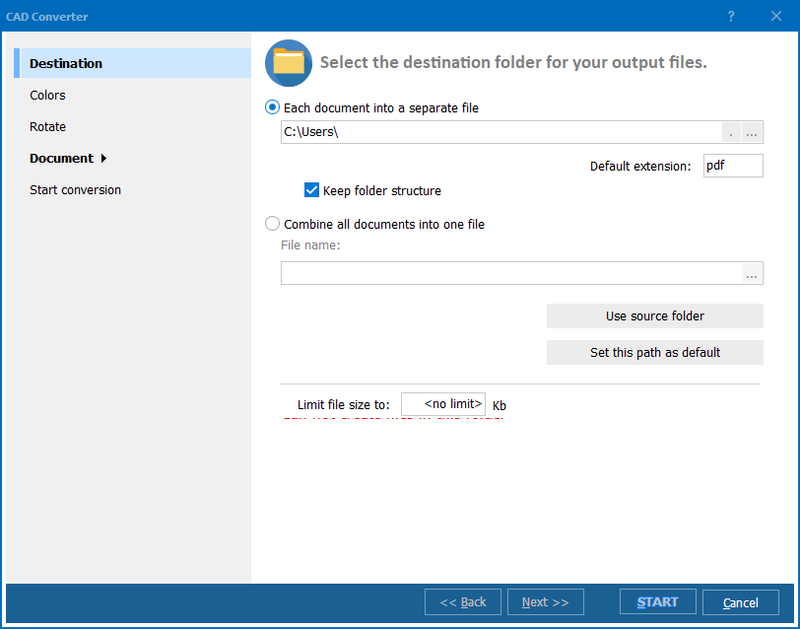 To adjust the destination folder, crop, rotate or resize the files, select the appropriate tabs before clicking "Start!" To try Total CAD Converter now, download a free trial version! It requires no registration for 30 days and is 100% safe! 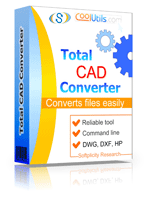 Contact CoolUtils to find out more information about Total CAD Converter and other software.